Blowing Rock is one of my favorites places in this world! I love weekends in the mountains this time of year. Being able to see all of the leave change colors and fall to the ground, the crisp mountain air and warm coffee while window shopping! There is nothing better!! We had such a great weekend spending time with my family and getting to see some App State football! 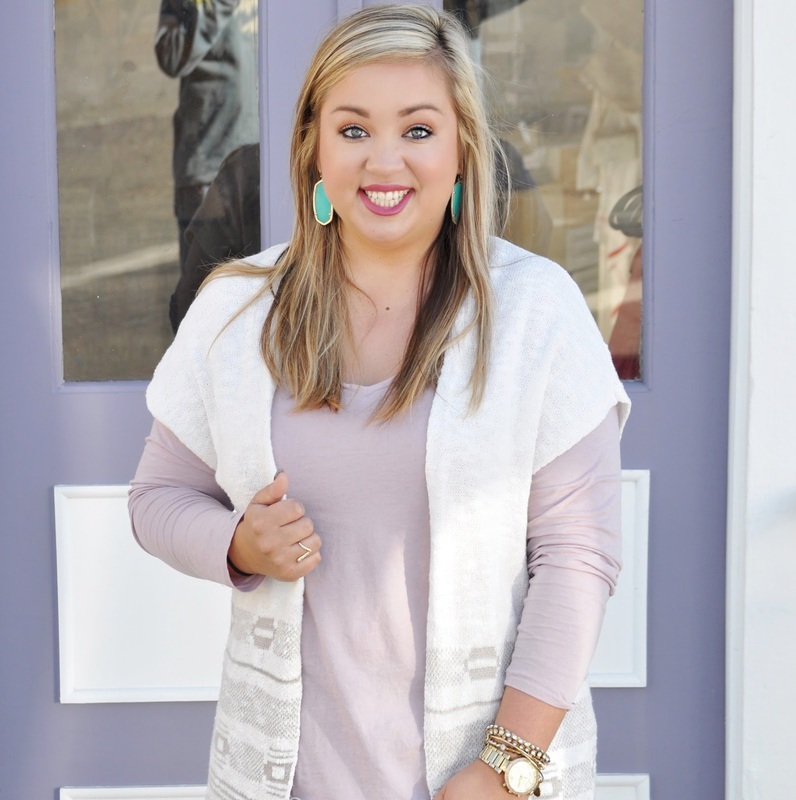 You know how much I love a vest, add fringe and I love it even more! This one is so warm and soft! I always get a ton of questions about these boots! They are Clarks and I got them last year but here is a similar pair! For more of my Fall fashion staples, watch my Youtube video here! Don't forget to go Vote today! !